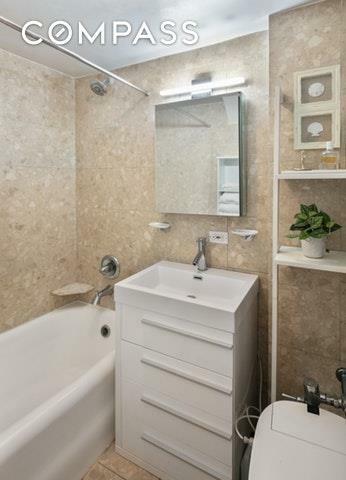 Nicely renovated studio available at 25 Tudor City Place. 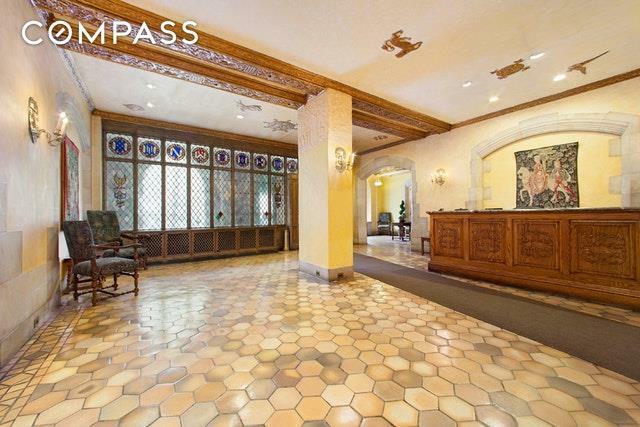 Set in a stately pre-war doorman building up the hill from the UN headquarters, this apartment faces west, with open city views over Tudor City Park. The renovated kitchenette features a dishwasher & full sized refrigerator. Pied-a-terres, co-purchasing, gifting and guarantors are allowed. 25 Tudor City Place is a completely smoke-free building, and welcomes cats but not dogs. Electricity is included in the monthly maintenance.Built in 1929, this historic Gothic Revival building features an intricately designed faade, complete with cherubs and gargoyles, and a grand lobby with stained glass windows and carved dark-wood accents. 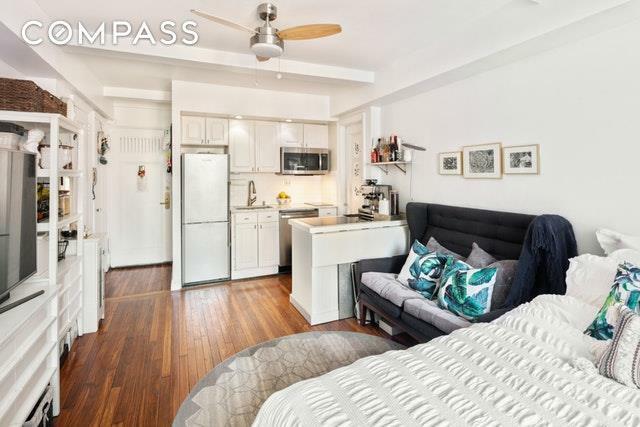 The very convenient location is in the heart of Midtown (and close to Grand Central), but set on a tranquil tree-lined street directly across from the privately maintained Tudor City Park and Gardens. 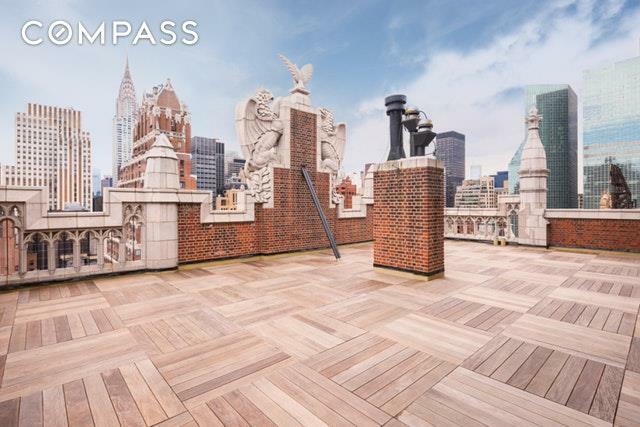 There is a full-time doorman, and on-site amenities include a roof deck with stunning midtown views, laundry room, bike room and common storage, with access to a first-rate fitness center one building away. Listing courtesy of Takk Yamaguchi of Compass.